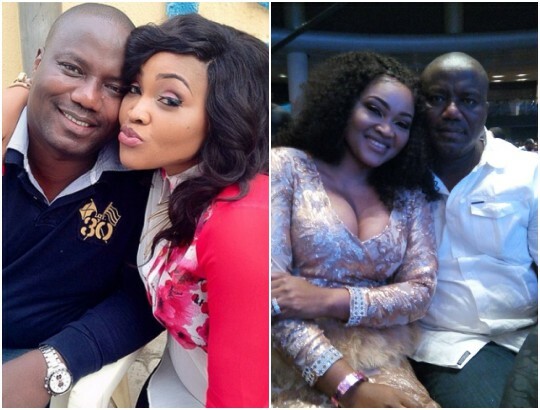 Husband to Nigerian actress and film director, Mercy Aigbe, Lanre Gentry has said that most men would not tolerate what his wife has done to him in the past 7 years they have been married. Lanre told BON that he had shown her love and support in the last seven years despite some unbelievable things he had seen her do and had endured for the sake of keeping the marriage and her image intact. “Would she have been in my house for 7 years if I beat her? I don’t know why she pulled such a picture stunt but I know the person that rented the house for her and the pictures and all are just stunts to paint me bad and gain sympathy. You know where Mercy was before I married her and in 7 years, I think I have tried but she has other ideas and most of the things that I take from her, most men wouldn’t take it and I hope she won’t allow me to talk if she keeps smearing my name. I am trying to be calm because I don’t want to use my hand to destroy what I help created,” he told BON. The actress and businesswoman is pressing charges against her husband for battery and assault.